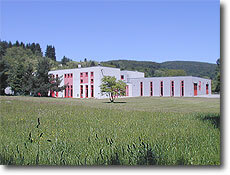 The company was founded in 1976 and is located in Neu Purkersdorf on Vienna's western border. 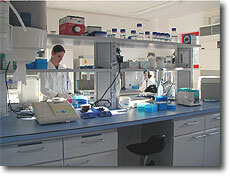 SY-LAB continues to grow and manufactures products for the life science sector. With 40 years of experience in the development of microbiological rapid test systems and test kits, SY-LAB developed to a leading provider of microbiological impedance analyzers and biomolecular assay systems. 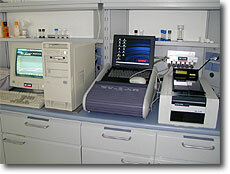 SY-LAB is strong research oriented with an emphasis on the development of new technologies and applications. A central task is to provide modern technology that can accelerate and facilitate the microbiological testing of food, cosmetics, personal care products, food supplements and pharmaceuticals. The SY-LAB microbiological analyzers and rapid test systems as well as the Controlled Rate Freezers stand for tested, high-quality and reliable technologies with outstanding performance. In addition to first-class technologies SY-LAB provides for its clients, we are also offering Know-How and expertise to make testing procedures highly efficient and cost-effective. Innovations with a constant look on the user's needs along with a comprehensive user support are the cornerstones of the SY-LAB philosophy.